The picture was painted in 1890 in oil on canvas. Painting style is realism. Genre – urban landscape. Levitan is a great and brilliant Russian artist. His canvases are considered masterpieces of art around the world. Levitan was able to write any plots, finely and competently selecting color. He was loved and respected as a brilliant artist and as a friend. Modest, kind and sympathetic, he amazed everyone who knew him. Many deep phrases and poems are written in the subjects of his canvases. Isaac Levitan was best known for his landscapes. Nature has always had the most important role in his soul. He admires the beauty of the Russian land, its temples, villages, the breadth of the soul of our people. His creative heritage includes dozens of paintings depicting landscapes. There are masterpieces that show the viewer the beauty of nature in other countries. 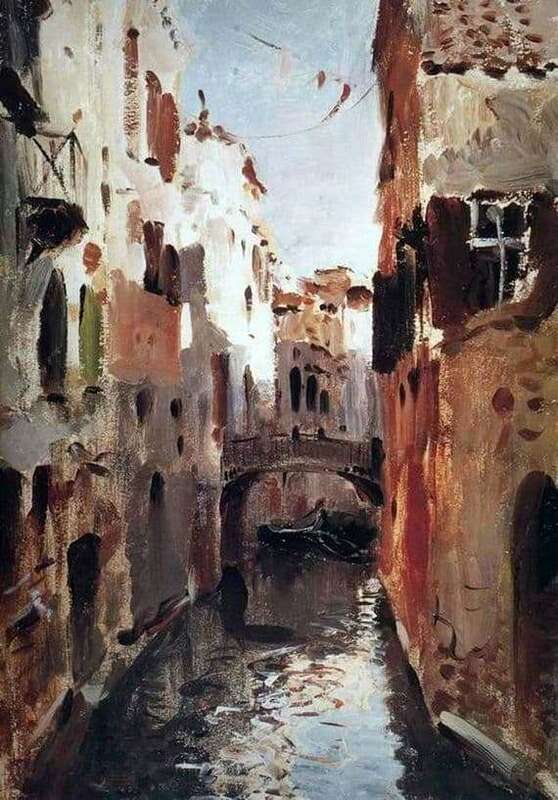 The Canal in Venice is one of the canvases that was written by Levitan in Italy. Venice – this is the place where having been once, you dream to come again. There are no such landscapes where the city stands in the water and instead of the usual urban transport people move on gondolas, nowhere else. Of course, Levitan, as a great connoisseur of beauty, could not but conquer these places. On his canvas, he portrayed a narrow, old street in the city, which is filled with romance. Calm water channel spreads throughout the picture. The bridge connects the houses, and under it, as if in love, two boats are located. Venice is filled with old houses, which are strongly destroyed by the water element. Levitan was able to portray the landscape as it looks in reality. The combination of red-brown tones gives the canvas a kind of mystery and romance. The painting is stored in the State Memorial Historical-Art and Natural Museum of Polenov. Tula region.